If you find yourself having to juggle both being a mother and being a professional, you’re not alone, in fact, you’re in the majority. Government statistics show that 70% of households out there with children under 18 also participate in the workforce. The bulk of these women, 75%, are holding down full time jobs. In addition, we see 40% of those households in the country have a mother as the primary or sole earner. 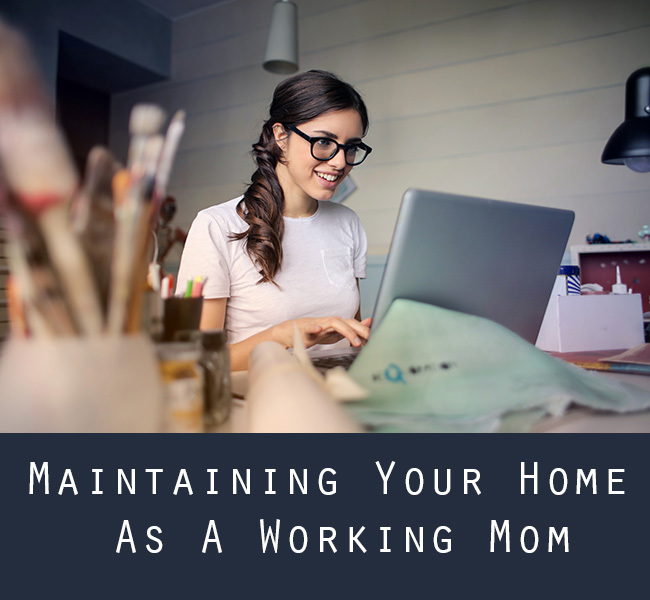 In some cases, it’s a source of pride in order to be an earner and a mother, but it can also be a source of frustration when it comes to figuring out how to keep your home in order while excelling at work. Here are some tips to maintain the balance. For one thing, you may want to get in the habit of having a proper sleep schedule if you don’t already. There are a number of health reasons that you want to do this anyway, but when it comes to maximizing your time, going to sleep on a regular basis, perhaps earlier than usual, means that you can get up earlier. In some cases, as little as an hour of extra time can have you do that one extra task or perhaps get a workout in before you go to work in the morning. With little extra effort on your part, you’ve already freed up some time for yourself. In fact, there’s a growing trend of mothers and other people who try to pursue an alternative style of work in order to try and tackle this issue: working remotely. There are many jobs out there that can either be done from home partially or completely. But if you do work from home, there are a few things you need to keep in mind. For one thing, you need to make sure you adhere to a regular schedule, including both work and home responsibilities. If it’s your first time working remotely, it’s easy to try and get caught up in your newfound freedom and end up missing certain duties. Make sure your responsibilities are clear with your employer so you know when you can push thing aside to attend to a fussy child or get a little cleaning in. If you’re debating whether or not the investment is going to be worth it, it’s important to take a few things in mind. For one thing, while you may be spending money, you’re gaining time. Time is the ultimate premium when it comes to work-life balance. Whether it’s spent on a vacation or just napping on the couch, being able to squeeze a little bit of time each day to yourself is essential in order to keep burnout at bay. Ideally, you’re going to want to ask around with friends and loved ones to see if any of them using cleaning services, or if they can give you a recommendation. If you’re on the fence about using a contractor or service of any kind, you want to start with one that you can trust. In some cases, taking care of some of the basics on a regular basis and leaving specialty jobs to professionals may be the balance that you need. Part of being a working mom is taking on more responsibility than someone who may just focus on the home or just focus on work. But the other part is making sure that you get the support that will allow you to do this for a long period of time, without getting overly stressed.